When Aldous Huxley published Brave New World in 1932, it was hailed as a masterpiece. His picture of a dystopian society more than six centuries into the future was mind-blowing, complete with humans manufactured in artificial wombs, babies indoctrinated into castes, and all pain eliminated by a drug called Soma. Amid those frightening futuristic predictions were some that, from our vantage point, are mostly amusing and quaint. Take the elevator scene in chapter 4, for example. In Huxley’s day, elevators were mechanical contraptions operated by liftmen, whose job was to maneuver the elevator to your destination by pulling the appropriate levers. Huxley realized that the idea of this being done by a human being so far into the future was laughable, so he imagined a suitably dystopian solution: a genetically engineered sub-human creature of the lowest caste. You read that right. Huxley could imagine elaborate genetic engineering, but the idea of simply pushing a button and getting where you want to go eluded him. It seems obvious to us now, but Huxley was writing well before the electronic revolution, so there was no frame of reference for anything operated by a computer. This is a common theme in science fiction; it may include a big idea for how things might be different, but the rest is imagined to remain strikingly the same. Star Trek, for all that it got right with its vision of a bold egalitarian future, still had women wearing miniskirts in space. The Jetsons, for example, is essentially a depiction of family life in the 60s, with the addition of jetpacks, spaceships, and food pellets. Star Trek, for all that it got right with its vision of a bold egalitarian future, still had women wearing miniskirts in space. And while it was a big step forward to have an African-American woman on the bridge, let’s not forget that her job was to answer the space telephone. I heard just this sort of prediction of the future at the 2018 conference of the Association for Talent Development. With 12,000 learning professionals attending from all around the world, and keynotes from the likes of President Barack Obama and management guru Marcus Buckingham, it’s among the world’s biggest conferences on the business of learning. On the morning of the first day, I joined a conference session about the future of education. All these pronouncements were made against the backdrop of a chanting refrain, “right here, right now!” It was a slightly updated version of Karl Fisch and Scott McLeod’s original Shift Happens video,43 which I first watched in 2008 — an ironic start to a presentation about the future! And it was all downhill from there, with discussions about the need for educators to use more technology, make the student’s smartphone part of the learning experience, and leverage resources like TED Talks as part of lectures. Those are all good ideas, but in terms of thinking about and preparing for the future, it’s a Jetsons level of prediction and imagination. Lectures are among the least effective pedagogical devices known to man. Worst of all, it was a lecture. Sure, there were some videos and a few “high five and discuss with the person sitting next to you” moments, but it was still a lecture. And lectures are among the least effective pedagogical devices known to man. That’s one of the biggest ironies: that most every class I’ve taken on “cutting-edge adult learning” has been taught using all the modalities (lectures, trivial homework, facile tests) that aren’t cutting-edge adult learning. Finally, I gave up and walked out of the session. Never mind the future of education, this wasn’t even an accurate picture of the present of education! The conference presentation can be forgiven for being a little out of date and out of touch. They’re good people who care deeply about their work, but the sad truth is that they’re probably just a little too close to the problem. There is one important insight about predicting the future in the video’s refrain of “right here, right now.” Imagining the distant future is very hard. As my colleague Rohit Bhargava, author of the Non-Obvious book series about predicting trends and winning the future explains, it’s both easier and infinitely more useful to extrapolate from what’s happening now than it is to make up what might happen later. The only way education can be sustainable and legitimate is to deliver an outcome that is meaningful in the present and future world. As Kevin Carey argues in The End of College, the only way education can be sustainable and legitimate is to deliver an outcome that is meaningful in the present and future world.44 But what will it take to do that? Joseph E. Aoun, president of Northeastern University, wisely wrote that “the existing model of higher education has yet to adapt to the seismic shifts rattling the foundations of the global economy.”45 So what are those changes? We need to understand the seismic shifts that call for us to change not only how we teach, but also what we teach, in order for our students to be ready and relevant. What’s happening right here, right now, that will make the world substantially different later? Whether driverless vehicles are a good thing or not is a matter of debate, with strong arguments on both sides. On the plus side, there’s safety (more than 90 percent of traffic accidents are attributable to human error),48 productivity (at an average of 26 minutes each way to work, five days a week, fifty weeks a year, that’s a collective 3.4 million American person-years that could be redeployed),49 and affordability (millions of people work in transportation, and even assuming an entry-level salary, they represent tens of billions of dollars of cost, which can be saved and passed on to consumers).50 That brings us to the argument for why it’s a bad thing. Transportation is one of the largest industries in the world, and automation is expected to lead to massive job loss. I’m excited to ride in a driverless vehicle, but what’s most interesting for our purposes is the confluence of technologies that will make such a ride possible, and what they tell us about what our world is fast becoming. These technologies and changes have much broader implications than the automotive and transportation industries; they’re the bellwethers of what Thomas Friedman calls the Age of Acceleration, which is the environment that modern education must prepare us for. Knowledge of the geography and traffic around you, and software smart enough to make driving decisions. Check. This has been around for a while and is used by millions, through services like Google Maps and Waze. Movements like open source and tools like application programming interfaces allow for software complexity to be abstracted away, which means that software developers don’t have to understand the full complexity of existing software to build on it. The ability to make smart decisions, learn, and improve, both for individual vehicles and an entire fleet. Check. Complex rules-based software engines allow driverless vehicles to make complex driving decisions, similar to the technology that allowed IBM’s Deep Blue computer to beat Garry Kasparov in 1996. Machine learning and artificial intelligence (AI) algorithms allow driverless vehicles to learn from their experience and get better—like the technology that Deep Mind’s AlphaGo used to beat Lee Sedol in 2016,54 and Carnegie Mellon’s Libratus beat four top poker players in 2017.55 But unlike any of those systems, driverless cars are all networked to one another, which means each of them learns the lessons from the experience of the entire fleet. As wondrous and incredible (or scary) as all these advances may sound, none of them are science fiction. As wondrous and incredible (or scary) as all these advances may sound, none of them are science fiction. They all exist today, albeit more so in some places than others. They are already in the process of proliferating into every area of life. So what happens in a world where everything is aware of its state and surroundings, is connected to everything else, and is smart enough to make decisions? The implications for our economies and job markets are profound, which in turn changes the work that education needs to do in order to prepare us for it. Consider the faint “drip, drip, drip” that you might hear from a leaky pipe in your kitchen. If you catch it early, the fix is cheap and easy. If left to fester, the result can be messy and costly to remedy. 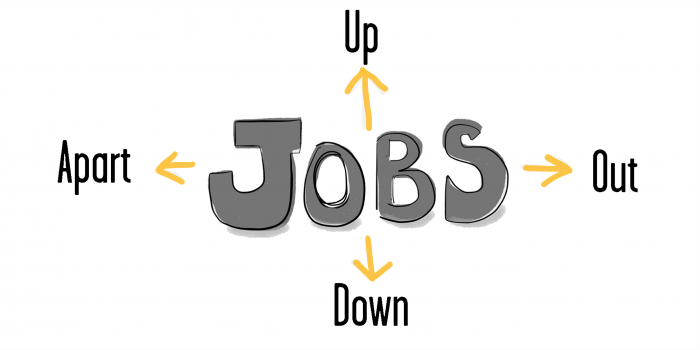 Up: You’ll need increasing amounts of knowledge and skill to perform the same job. For example, automation of milking cow herds means that a herd manager will need computer and data analysis skills. Apart: The skilled parts of a job will require even more skill and knowledge, while the unskilled parts will require even less. Continuing with the automated milking example, the milker will need more skill, but the manure shoveler will need less. The job probably will be performed by two people or even more likely, by one person and one machine. Out: Outsourcing and automation will compete successfully for more jobs, and for bigger portions of jobs that still require humans. Given that computers and machines are stronger and faster than we are, and they don’t get tired or make sloppy mistakes, it’s a competition that humans aren’t likely to win. We’re headed for a job market disruption the likes of which we’ve never seen before. So is this the end of the world as we know it? Should we grab our rifles and fill our bunkers with bottled water and canned goods? No, not quite. What’s coming qualifies as a serious disruption to the economy and labor market, but let’s be real for a moment: These things have happened before. The classic example is when Edwin Budding invented the lawn mower in 1830. It doesn’t sound like a big deal until you consider that it sparked an explosion of sports innovation, which led to the creation of the professional and codified sports industries. That’s right: Professional football, baseball, soccer, and more owe their existence to what is now called the Budding Effect,62 that is, the unexpected opportunities created when things change. In the case of professional sports, the simple fact of having even, level mowed fields opened up a cornucopia of possibilities that had yet to be imagined. We can expect the same thing to happen in the convergence of “STEMpathy” work (where the technical skills of science, technology, engineering, and math meet the humanistic skills of empathy and connection), but it’s hard to say exactly where. We just aren’t good at seeing these changes coming, for the same reasons that Aldous Huxley couldn’t predict an electronic elevator, and that Star Trek imagined women would wear miniskirts in space. We’re not good at imagining the implications of the implications of the implications of things that change. But historically speaking, this has happened over, and over, and over again. So if we know that the Budding Effect will bring lots of jobs and opportunity into our world… but we don’t know what they are, and can’t see them coming. But we aren’t flying totally blind. We do have a sense of what category of challenges they’re likely to fall into. The things that we think of as hard are things that our brains aren’t really wired to do, but we figured out ways to do anyway—things like math and physics and playing chess—but these things are trivially easy for a computer. It would be virtually impossible, for example, for a human to calculate π (pi) to a million decimal points, or memorize the geography of an entire city and calculate the fastest route from point A to point B, but a computer can do it in seconds. On the other hand, the things that we think of as easy are things that our brains evolved for millions of years to be good at. This means that we have incredibly intricate and elaborate neural circuitry for doing them, so efficiently that the task seems trivial until we put it in front of a computer. For example, take the challenge of reading this word or telling which animal in the image below is a dog. Piece of cake for us, yet impossibly hard for a computer. Obvious, where there is a clear relationship between cause and effect, meaning that best practices can be easily documented, and solutions can be applied algorithmically. Complicated, where analysis and investigation based on training and expertise are required to identify the relationship between cause and effect. Complex, where the relationship between cause and effect are clear only in retrospect, and problems are solved by trialing new solutions. How should we approach this challenge? How do we go about preparing students for jobs that don’t exist yet, using technologies that haven’t been invented, in order to solve problems we don’t even know are problems yet? In 1971, political philosopher John Rawls proposed a thought experiment for designing a perfectly just society: Imagine that you know nothing about the particular talents, abilities, tastes, social class, and positions that you will be born with. Now design a political system. This exercise, called the “veil of ignorance,” works because when you don’t know which place in society you might end up, you’ll take care to design a system that is fair, just, and compassionate to everyone. The challenge (and opportunity) for educators, then, is to teach everything that can’t be replicated by a robot or an algorithm. The verdict is clear: To succeed in the Age of Acceleration we need soft skills, and the intangible but critical things like work ethic and initiative. Employers know this, but there’s just one little problem: The majority of the items on this list are generally considered to be traits that people either have or don’t. This fundamental reorientation of what we want education to achieve has led to big changes in how that education is conceived and delivered. We’ll explore those changes in the next chapter. 1. Why is it so very hard to imagine what the distant future might look like? 2. Why is it important for educators to understand the implications of sensors, artificial intelligence, and automation on the global economy? 3. 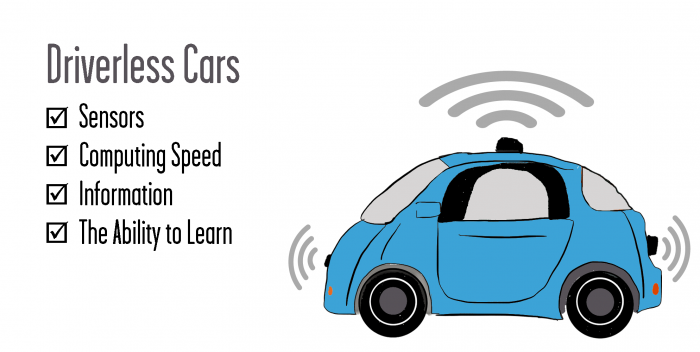 What are the technologies that are making driverless cars an imminent possibility? 4. Thomas Friedman describes four directions in which jobs are being pulled by various technologies. What are these directions? 5. A 2013 Oxford University whitepaper forecasts that 47 percent of jobs could be eliminated by technology in the next two decades. What kinds of jobs are likely to be technology-proof? 6. What is the Budding Effect? 7. 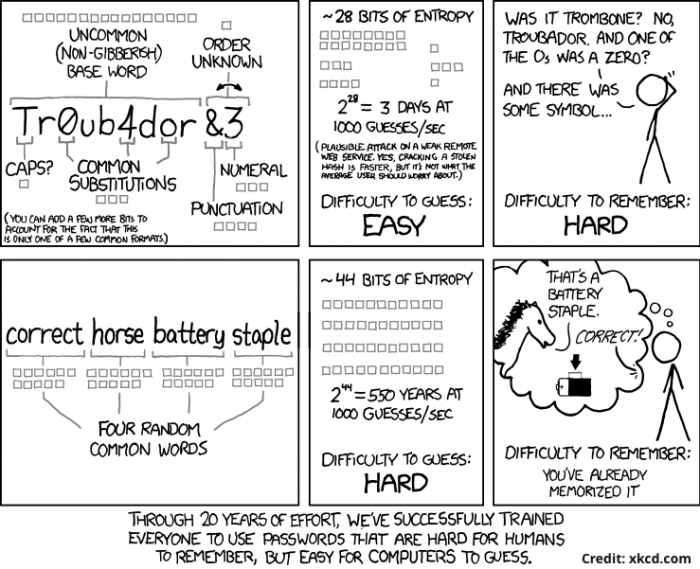 What sort of things are hard for us, but trivially easy for a computer? 8. What sort of things are trivial for humans to do, but very hard for computers? 9. 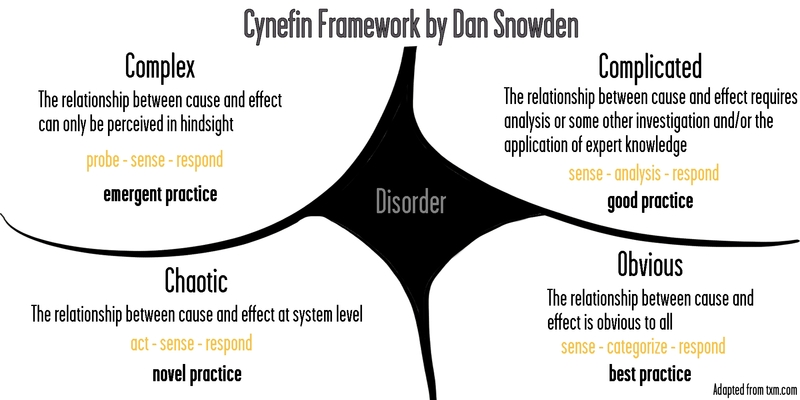 Describe the four domains of decision-making according to the Cynefin framework. 10. Of the four domains under Cynefin framework, which ones are going to be difficult for computers to handle? Why? 11. What is the Veil of Ignorance, and what does it have to do with the future of education? 12. Why are soft skills more likely than technical skills to be valuable in the workplace of the future? 13. Based on surveys, what skills and qualities do employers find most important?